Sometime in the next two years or so, craftsmen in Poland will put the finishing touches on 263 individual hotel rooms, then stack them on a single container ship bound for the Port of Oakland. From there, they’ll be trucked to a vacant lot in Sunnyvale, where they will be unloaded one by one and assembled on-site into Northern California’s first Millennium Hotel. It will go up in about 12 weeks. 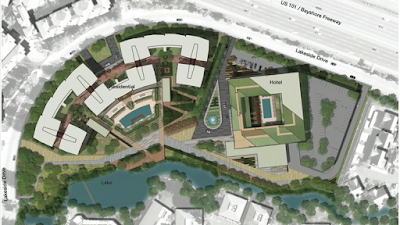 A similar prefab strategy will result in a 250-unit residential complex next door, but instead of a sea voyage, the apartments will take a six-day train trip from a factory in Idaho. The estimated $200 million development represents what could be the most ambitious modular construction effort yet undertaken in Silicon Valley. While prefabricated units have been used in a couple of apartment projects, the approach has not been used locally for a commercial building such as a hotel until now. “It’s very unusual to hear about this in California,” said Alan X. Reay, president of Atlas Hospitality Advisors, who was familiar with only one or two modular hotel projects in the state. It is also a major milestone for the region’s hospitality development scene, marking the arrival of a new hotel player with a different kind of product: A full-service, strikingly designed hotel that’s all about social spaces, executives said. 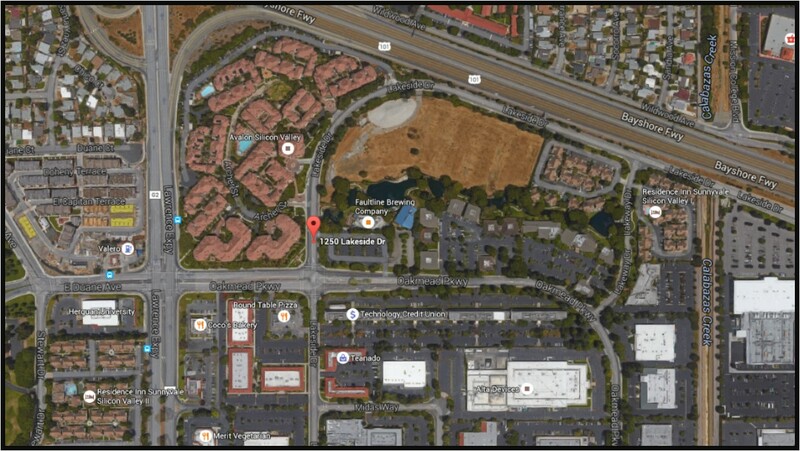 The project, which is working its way through Sunnyvale’s approval process, comes nearly a decade after Millennium first proposed a hotel-and-condo development on the site it has long owned, located at 1250 Lakeside Drive, looking out onto a small man-made lake. The economy’s revival and a corporate focus on growth are bringing it back now. But the new concept is substantially different in look and feel than the old one, with architecture firm NBBJ coming up with an ultramodern design that’s unlike the standard stucco-box aesthetic that has dominated multifamily and hotel development in recent years. “In a way we’re starting late, but instead of building an old-fashioned conventional hotel we’re building something that meets this new need,” Lee said. From the outside at ground level, the hotel appears as a solid slab of glass punctuated by vertical metal “fins,” its roof line rakishly angled. In aerial renderings, more comes into view: A courtyard dominates the center, and the roof is revealed to be a series of terraced outdoor sitting areas and gardens. The emphasis on places to hang out is by design: The hotel will carry Millennium’s new “M Social” brand, which is designed to appeal to millennials who crave places to work out in the open, with lots of spots to gather with friends or coworkers for fun as well. The decision to use modular construction methods was about speed as well as quality, Lee said, because it allows the dozens of trades to work on the units in factory-controlled environments. Polcom Modular, a Polish modular construction firm, will build the hotel rooms at its factory there. Guerdon Modular Buildings, based in Boise, Idaho, has been tapped to build the apartments. Still, the method remains something of a rarity. Reay said he’s not been too impressed with the couple of projects he’s encountered using modular construction because of quality controls. But he said his experience is from years ago. “I will reserve judgment because maybe they’ve advanced tremendously,” he said. As for the distinctive building skin, that also serves a purpose: Millennium wants a light-filled interior, so it's designing a window wall that's essentially all glass. But that creates a heat effect called "solar gain," so the fins are designed to shade the building and help it meet green-building goals. "It’s all glass, and you’re exposed to the sun. So we need to build a second skin outside the facade," Lee said. Millennium is part of the Singapore-based Millennium & Copthorne Hotels group, which operates about 120 properties worldwide. Millennium’s only other California hotel is the Millennium Biltmore Hotel in Los Angeles, a historic gem known for its marble fountains and frescoed mural ceilings. The M Social hotel will be a full-service property, bucking a development trend that has favored limited-service hotels, which do not have as extensive food and beverage programs. 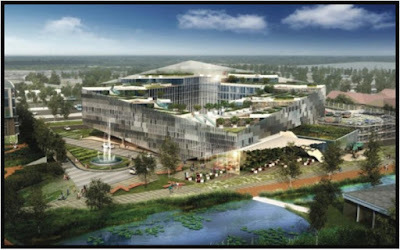 The property will include a 3,000-square-foot restaurant, a 5,300-square-foot banquet hall, 1,700 square feet of meeting rooms and two bars. Millennium hopes to break ground on the project in mid 2016 and finish it by the end of 2017, assuming city approvals come in as expected. Because of the weakness of our industry to promote ourselves we have successfully moved modular building offshore and eliminated job opportunities as well as opening up the opportunity for developers to question why this project was not built by an American modular company. And we all wonder why our plants are not running at capacity year round.